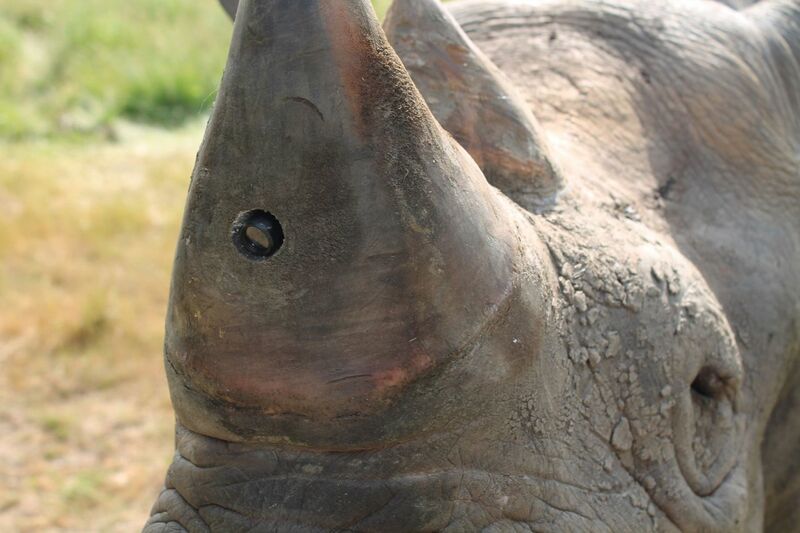 A hole drilled into the rhino’s horn holds a tiny video camera that may help identify poachers. …combines a satellite GPS collar, heart-rate monitors embedded under the skin of the rhinos and a small camera placed in a hole drilled in the rhino’s horn. If a drastic change occurs in the rhino’s heart rate –– such as might occur if a rhino were shot –– the camera switches on and an alarm sounds. An anti-poaching team can be dispatched within minutes via truck or helicopter to try to catch the perpetrators, while footage captured may aid the prosecution. Previous attempts to thwart poachers have included removing the rhinos’ horns, painting them with toxic pink dye and protecting the rhinos with 24-hour armed guards. However, none of these strategies have been very effective and the killing only seems to be ramping up. Last year, for example, South Africa saw the slaughter of a record 1,215 rhinos, a 21 percent increase over the previous year. Demand for the horn is fueled largely by the Asian black market where it can fetch up to $45,000 per pound. The system has already been tested in the field and the results published in the Journal of Applied Ecology. Protect’s South African team hopes to roll out the first rhino prototypes within months and are also working on versions for tigers and elephants.